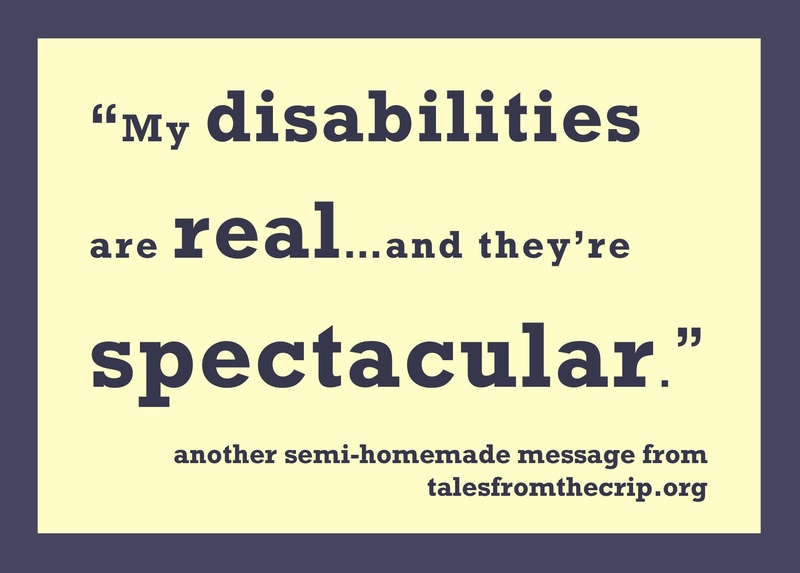 Looking for an energy-efficient response to disability deniers? This as-seen-on-Facebook snappy comeback is now available as a t-shirt for a $25* donation to Disability Rights Education & Defense Fund (DREDF). Scroll down for details.